This month, Bartinney has welcomed Catherine (Cat) to the team. 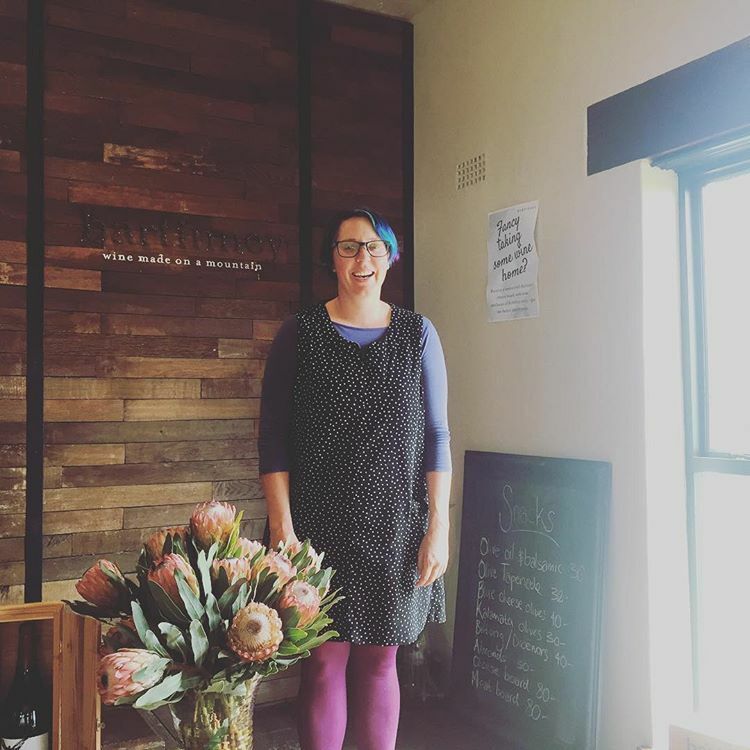 Cat is now hard at running our Tasting Shed and Wine & Champagne bar with style, mermaid blue hair and of course a smile. But who is she, and what makes her tick? What did you get up to before Bartinney? I have always been a Stellenbosch girl. I went to school in town and then studied drama at the University of Stellenbosch. After I was a lighting designer, professional puppeteer and set builder. After this I moved to London, fell into the world of wine and never looked back. Why did you move back to the Cape? Wine is my passion and I wanted to bring that passion back to South Africa. 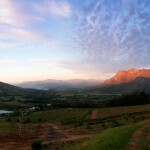 I now am lucky enough to work at Bartinney, with its crazily beautiful views and delicious wines. In my spare time, I like to travel around the area and further afield, to check out the wines of other estates. I love spending time outside, particularly in the mountains. You can find me walking the dogs on mountain trails with my boyfriend… or at a wine bar. So it must be a difficult question, but what is your favourite Bartinney wine? Oh tough one… Chardonnay all the way. It’s got to be Champagne… by the magnum. What would you be eating with it? Anything truffled, oh and peas. I do love green things. Despite my blue hair, I am a natural brunette. Thank you Cat and welcome to the team!